What Makes You Tic… With Joy? One of my resolutions this year is to write more, both at this blog to support other moms and for my career. With that in mind, I reached out to my local papers with a pitch I had. They both accepted it. 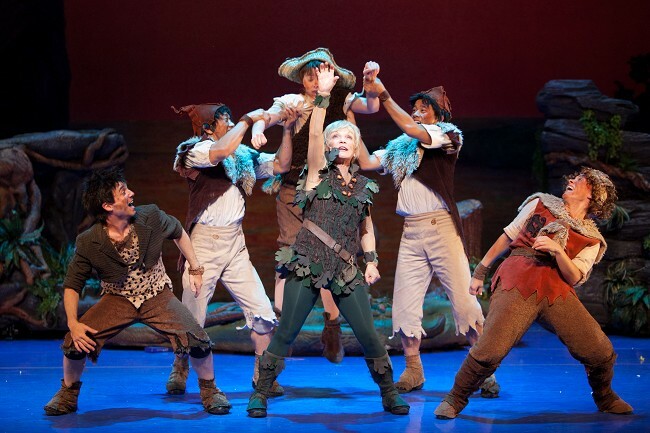 It was to interview Cathy Rigby – of gymnast fame – who is starring as Peter Pan at the Pantages in Los Angeles. What started out as an interview for press purposes quickly became a 15 minute encounter with a woman who is short in height but high in spirit. I don’t know what to say other than “She gets it.” She is a big believer in allowing our kids to fail to build life skills. She promotes the journey, not the destination. She doesn’t believe that we ever have to stop transforming and stop building on what we have. In addition to my article being published in local papers, I published it on my own blog here. I figure, slowly but surely, I will build up a reserve of quality articles and stories that give me more opportunity to work for myself instead of editors. It will give me the chance to surround myself with more quality artists like Cathy Rigby. It will allow me to focus on the positive in the human spirit, not just the buzz of the celebrity bandwagon. Like Tourettes (or any kind of diagnosis in our children) it’s so important to focus on the gifts that come our way – not just the “flaws” that we want to fix. Life itself is messy and sticky and gooey. We can do our best to cure what we can, but at some point, we have to accept what is. Like Peter Pan, we must choose to soar above it. “But how? How do I do it?” you might wail. My pixie dust is my writing which is really connection with others. What is yours? And, as always, hug that ticker of yours today! If you can’t fix the tics, fix yourself! PS: Tonight, I’m off to Opening Night with my daughter. I am looking foward to some quality time with her, a good show, the kindness of strangers when she inevitably falls asleep at the end of the second act and I need someone to help me to my car, and a good cup of coffee to get me home to my other Darlings. Love you all. It’s going to be okay! Next postA Mom In Need – Who Can Support Her? I’m wondering if I could talk to you in a personal e-mail. My son is 11 and going though a horrible tic period. I need support and advice from a mom who really understands. I feel like I’m at my breaking point.